And you thought hiring a DJ was as simple as browsing a catalog… for some clients and even some other DJ’s, it may appear that way. But, you expect and will be glad to receive more. The “PLAN” of your event will be a HUGE factor in determining the overall success of it . . . and it entails much more than just good music and song choices. Whether it’s an organized Dinner Party or an extravagant 300 person wedding, the plan (or lack thereof) will drive your event’s success. This section is designed especially for wedding clients only and you will need a username and password to be able to access timelines, overall planning schedule & milestones, the music database and all other planning resources. I have a music library of over 25,000 songs and always building my music database. I receive paid subscriptions to popular Music Services reserved exclusivly for Professional DJs and Radio Stations. In addition, I subscribe to many Music Remix services. Under Links & Resources you will find vendors that are highly and “personally” recommended by me. 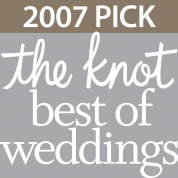 I have worked with each these vendors on many occasions. You should know that having a great “team” working for you will make your event run more smoothly and more professionally.